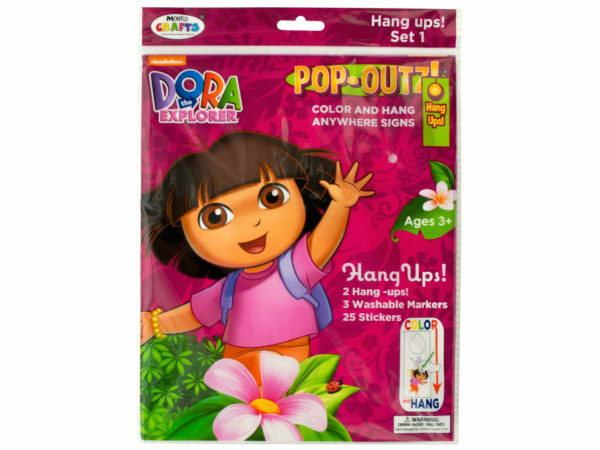 Create your own colorful signs with this 30-piece Dora the Explorer Pop-Outz Hang Ups Activity Set featuring color and hang anywhere cardboard signs printed with Dora graphics. 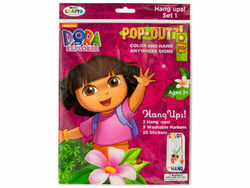 Kit includes: 2 hang ups, 3 washable markers and 25 stickers. For ages 3 and up. Comes packaged in a hanging poly bag.